Over the most recent year, an American eatery was worked in India. Utilizing techniques that were ignored down ages, craftsman’s ..
J. Paul’s will close its doors before the year’s end. Marking the most recent sign that Georgetown’s restaurant scene is .. Big-Name Restaurant Chains May Bring Problems to the D.C. Restaurant Market D.C.’s burgeoning scene is attracting big-name out-of-town restauranteurs. This ..
Menomale and sweet science are coming to the Belgard DC The Belgard in DC will open it’s doors to some ..
ROCKVILLE TOWN SQUARE IS STRUGGLING, BUT WHY? 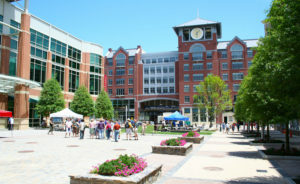 Why is Rockville Town Square struggling? It’s location is conveniently located less than a quarter mile away from Rockville Metro .. Restaurant space for lease in dc gets new tenant The owner of Sakerum, the 14th Street restaurant and bar that .. Tropical Smoothie Cafe Leases Restaurant space Tropical Smoothie Cafe leases restaurant space at The Boro in Tysons Corner, Virginia: “Bethesda, ..
Interview with retail broker bill miller Miller Walker Retail principal Bill Miller also sees concessions rising from the $100/SF range .. 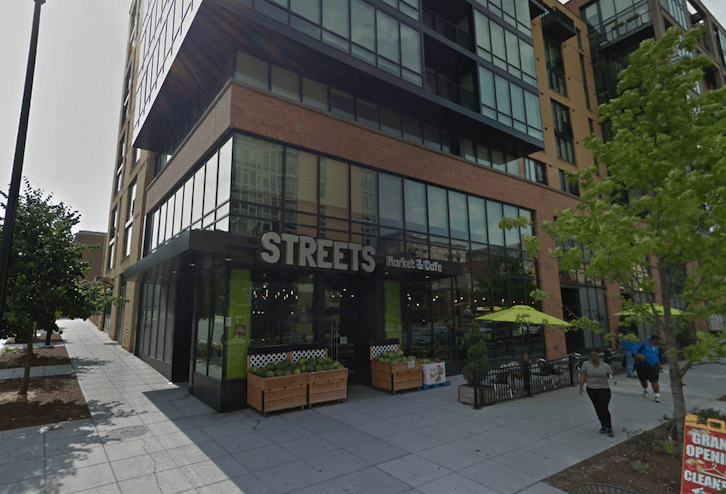 Streets Market plans to open the NoMa store in early 2019 and the West End store next summer. 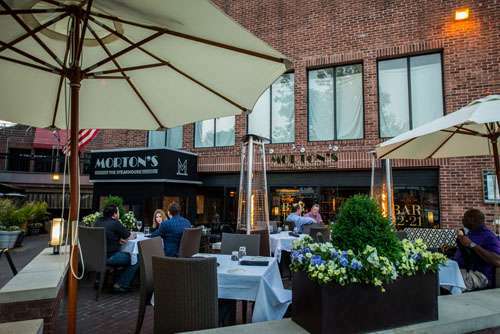 Burns said the decision ..
Morton’s is closing in Georgetown The Morton’s in Georgetown, in the same block as Cafe Milano and Peacock Cafe, was the second-ever location ..
After breaking into the D.C. market in October with a $140M Bethesda acquisition, French insurance giant AXA has come back ..
Morton’s The Steakhouse leaving Georgetown Most Georgetowners and DC diners are familiar with Morton’s The Steakhouse. 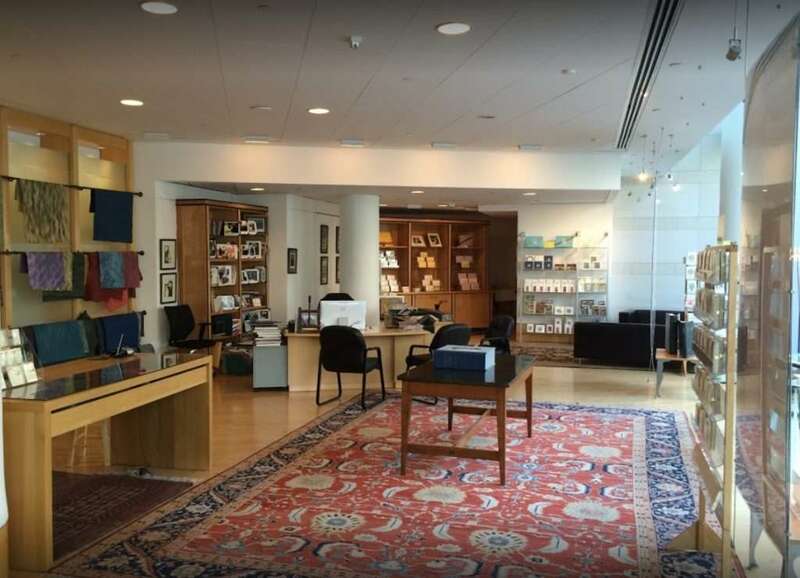 Although there are other ..
Book Arts is looking for a new home Book Arts is a DC based company that produces high-end bookbinding and ..
How Will The DC Wharf Restaurants Survive? 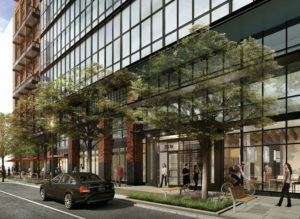 The DC Wharf is a $2.5 billion, 3.3 million-square-foot project will transform the ..
Thousands Of People Live And Work In NoMa, Where There Are No Sit-Down Restaurants Stroll around DC’s NoMa neighborhood and ..
On June 18, 2017, BISNOW featured an article entitle “Is Retail Really ‘F*cked’? 28 Global CRE Leaders Speak Out“. The ..
DC Marijuana Laws Create New Territory The smoke shop’s landlord, Demers Real Estate, took the retailer to court to have the store evicted. 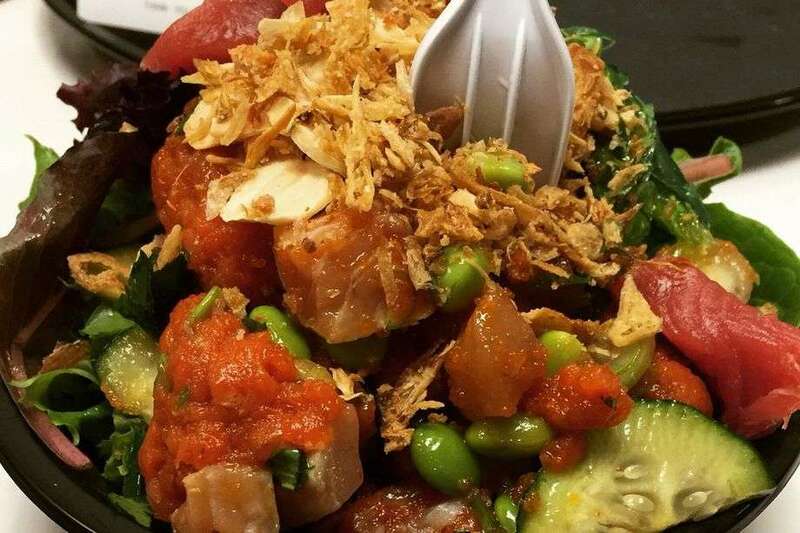 ..
California’s Honeyfish Poke is Coming to D.C.
Honeyfish Poke opening in DC Honeyfish Poke has several shops in the greater Los Angeles area. And now its looking ..
For his next project, Top Chef Mike Isabella is going big. Very big. 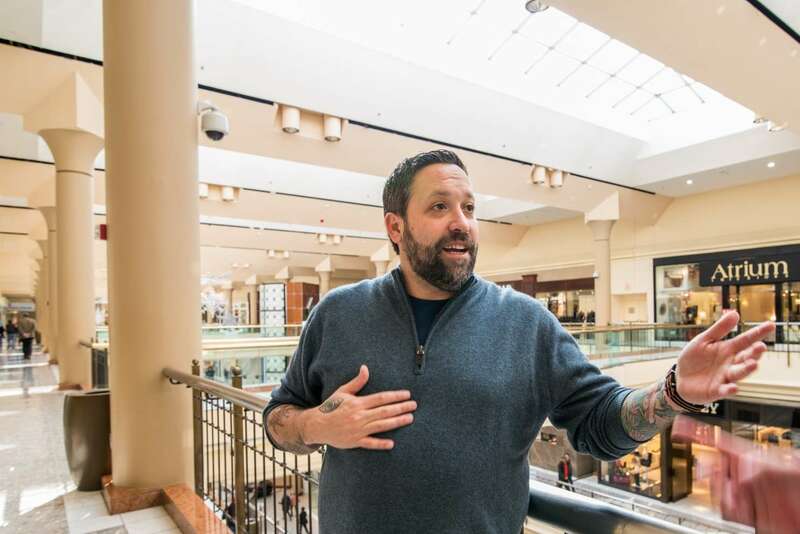 Top Chef Mike Isabella’s next project Ask a dozen food geeks to name the first thing they associate with Mike ..
Bill Miller, a D.C.-based real estate broker who largely works with restaurants, has seen [the desire to experiment with a .. 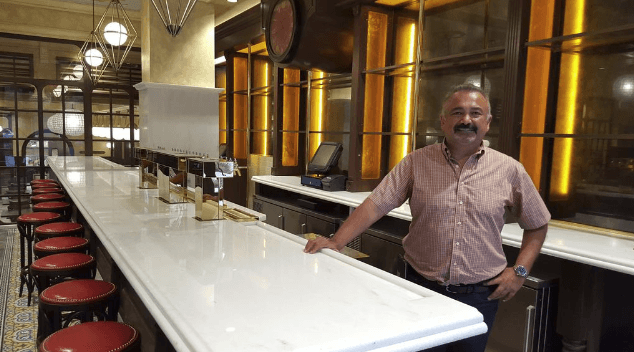 Many of the participants at this year’s Bisnow Beltway Bash (ICSC RECon Party) may not know it, but the event actually ..
Ottoman Taverna Coming to Mount Vernon Triangle Ottoman Taverna, a full-service Turkish restaurant from Alba Osteria and Pizza Autentica owner .. If D.C.’s steakhouse days are over, why do so many new ones keep opening? If D.C.’s steakhouse days are over, why do so many new ones keep opening? Want to see some Washingtonians go ..
Georgetown Park has provided countless Washingtonians retail therapy. And it may now satisfy the city’s foodie community as Miller Walker Retail Real ..
Hinckley Pottery has plans to move Hinckley Pottery, the D.C. pottery studio that has been a home for Washington’s amateur ..
Georgetown Park Six months into its purchase of The Shops at Georgetown Park, Jamestown has tapped Miller Walker to lease up ..
Georgetown Park Needs Restaurants The newly redone Georgetown Park mall has been gradually adding tenants for the past year. Bringing ..
Veloce by Pizzeria Paradiso After 23 years of full-service pies at Pizzeria Paradiso, Ruth Gresser (pictured left) is tackling a new .. Sustainable food and a sustainable business model Big players in restaurant operations and real estate had a lot to say ..
Barack Obama and Joe Biden. Stephen Strasburg and Wilson Ramos. Developers and restaurants. One of those partnerships might seem not ..
Mount Vernon Triangle will soon add a French restaurant to its dining choices, thanks to a restaurateur already doing business ..
Not so long ago, Crumbs Bake Shop was one of the fastest rising brands in DC. Today, all five locations .. 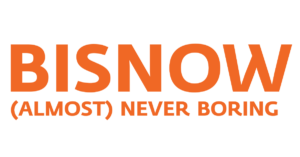 The retail frenzy that is ICSC continues through today, and Bisnow is still on the scene in Vegas. At the ..
Paul Bakery’s expansion continues in earnest. The latest lease: Bethesda. According to an email blast from brokerage firm Miller Walker ..
Capriotti’s, the Delaware favorite sandwich franchise that made a splash when it opened in D.C. last year thanks to an opening .. I wrote last week about Alamo Drafthouse’s plans to bring its quirky brand of movie theaters to D.C., and now ..
D.C.’s Capital Fringe Festival is looking for a little more permanence. Capital Fringe, which runs a summer theater festival with dozens ..
A fast-casual Mediterranean restaurant called Zeytuna Mediterranean has signed a lease at 2600 Virginia Ave. NW, according to Miller Walker ..
Silver Diner, the chain of area diners that began on Rockville Pike, will debut its downsized, urbanized Silver restaurant concept ..
More news on the Peet’s invasion: The coffee shop has signed a lease for space at 1001 Pennsylvania Ave. NW, ..
Maddy’s Tap Room is looking for new locations. The bar is on the hunt for additional outposts in such neighborhoods ..
Capriotti’s, the Delaware-based delicatessen whose favor with Vice President Joe Biden has been well-documented, will open its first D.C. location at ..
DC’s West End Library has a new, historic home… temporarily. Penzance has locked it down for the 5,000 SF former .. The former Lawson’s Gourmet space at 1776 Eye St has found a new tenant, as retail brokers Bill Miller and ..
B.B. King’s Restaurant and Club Is Eying D.C.
Blues, food and alcohol under one roof? That’s the idea behind chain venue B.B. King’s Restaurant and Blues Club, which ..
Tadich Grill, San Francisco’s seafood institution, coming to D.C.
Our sister publication San Francisco Business Times reported some restaurant news Monday of interest to D.C. : Tadich Grill, one ..
Miller Walker Retail Real Estate announced yesterday it brokered a new deal at The Watergate, bringing Northern Virginia sandwich mainstay ..
Who will be the next Chipotle? Could Chipotle be the next Chipotle? 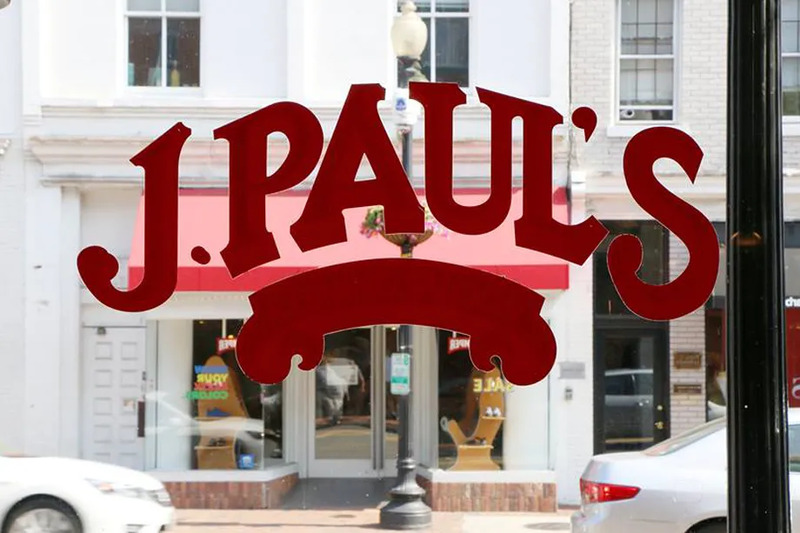 Two local retail experts tell us the competition between ..
As if we didn’t have enough Georgetown coverage for you today: Miller Walker Retail Real Estate principals Bill Miller and ..
Rí Rá Irish Pub has signed a lease in Georgetown, its third Washington-area location. Rí Rá will take over space ..
Those who like plenty of choices when it comes to sandwiches will find them at Which Wich, the chain opening .. The owner of an historic downtown D.C. office building one block from the White House is looking to fill its ..
It’s an old-fashioned concept — dinner and a movie — but landlords are looking at it with newfound interest when ..
A home-cooked meal just isn’t always in the cards. That’s why fast-casual food chains like Chipotle, Chop’t, and Sweetgreen are here ..
After a series of successes with American Cafe and Silver Diner, restaurateur Bob Giaimo is ready for a third act, returning to ..
J. Alexander’s is shopping around DC to open up restaurants in the region. 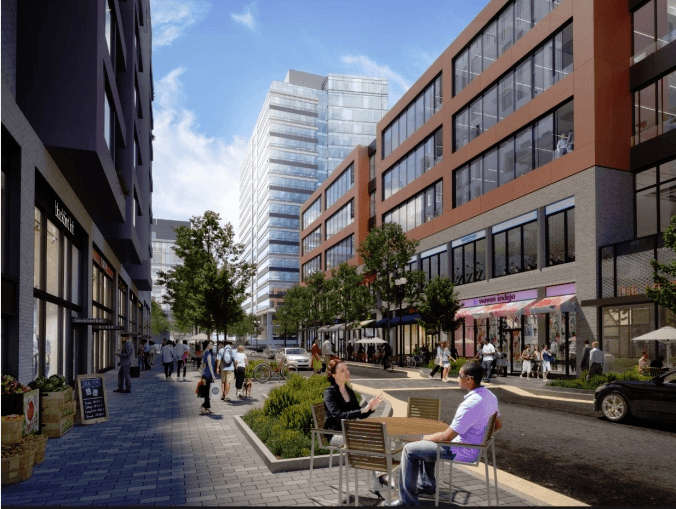 Brokerage firm Miller Walker Retail Real Estate ..
Restaurant-starved Rosslyn is going to get a new coffeeshop. Caffe Aficionado has signed a lease for 1919 N. Lynn St. .. When Barnes & Noble agreed to a one-year lease extension for its Union Station store last week, it wasn’t so .. Beers and the ballpark — what could be a better combination? Real estate firm Miller Walker sends word that they’ve ..
Italian restaurant Al Dente has signed a lease for a second location. The restaurant, from founder Hakan Ilhan and chef ..
Penzance is slowly building up occupancy at one of Washington’s most iconic complexes: The Watergate. CVS has signed a long-term ..
Suitsupply, an Amsterdam-based company whose suits are known for being well-made if not a bit flashy, has signed a lease ..
Retail Hotspots Of the Future? 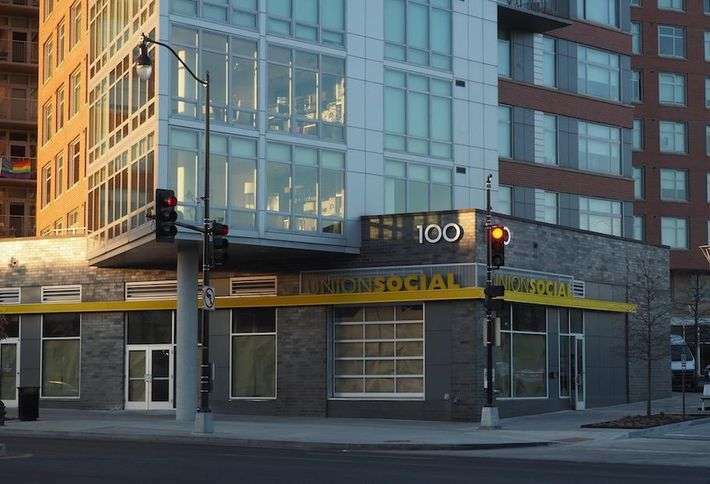 You’ve heard prime retail space in DC commands rents over $100/SF. But where is growth headed? We polled the experts. ..
Retail vets Bill Miller and Alex Walker have left Transwestern to create their own brokerage firm, MILLER WALKER. The two ..
Two well-known retail brokers in the District have teamed up to start their own venture. Transwestern Retail alumni Bill Miller ..
Over the most recent year, an American eatery was worked in India. Utilizing techniques that were ignored down ages, craftsman’s hand cut a 40-foot, 12,000-pound swath of pink sandstone to enhance one divider. A white marble bar was decorated with mother-of-pearl (another case of the method can be seen at the Taj Mahal) and situated under a striking, faceted roof. High-quality wooden screens in many-sided geometric examples separate rooms. The eatery, Punjab Grill this interface opens in another tab, opens on March 11, approximately seven thousand miles away, on Pennsylvania Avenue, this connect opens in another tab in Washington, D.C.
“We didn’t get parts of the restaurant in India,” says Punjab Grill CEO Karan Singh. 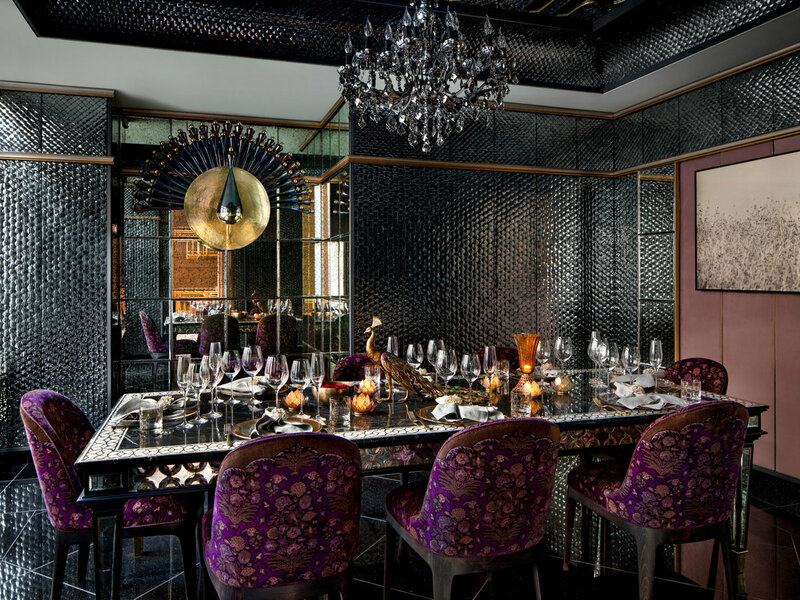 “The entire restaurant was built and assembled in India, then dismantled and sent over in five shipping containers.” This painstaking process, and each opulent detail it bore, add up to 4,700-square feet of stunning space. 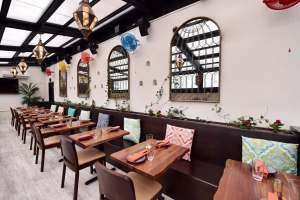 “I wanted to build a restaurant that had a very rich, traditional feel, but done in a way that was relevant to Washington, D.C. in 2019,” says Singh. He did so with the help of not one but two architecture and design companies—local firm Grupo7, and Incubis based in India. Punjab Grill is a piece of an accumulation of eateries by a similar name, however, the organization doesn’t think of it as a chain. Every one—incorporating those in Singapore, Bangkok, and India—exhibits Punjabi flavors and cooking by means of its own particular menu. Singh, who has called the territory home since 2012, says the choice to open the primary North American station in D.C. was made, to a limited extent, due to the city’s various populace, just as its rise as of late as a sustenance capital. doors to some new and interesting tenants. Menomale, a Neapolitan pizzeria, and it’s sister deli, Salumeria 2703, are on their way. The two brands will be housed in a 3,000 SF retail space at The Belgard: 33 N Street NE – Washington, D.C. The Belgard is one of the newer additions to the NoMa neighborhood. It is a 13-story, 346-unit residential building, chock full of amenities. Joining them will be Sweet Science Coffee. This is Sweet Science’s first standalone store. Menomale first debuted in 2012. Meanwhile, other up and coming retailers began to follow suit. In 2016 Salumeria opened it’s doors. The deal was completed by Alex Walker and Connor McCarthy of MILLER WALKER Retail Real Estate who represented the landlord, Wood Partners, Sebastian Restifo of H&R Retail who represented Menomale and Matt Pacinelli of Stream Realty who represented Sweet Science. Why is Rockville Town Square struggling? It’s location is conveniently located less than a quarter mile away from Rockville Metro station. It has ample parking and a robust mix of local retailers and restaurants. Even more, Montgomery County, the home of Rockville Town Square, is an affluent area with an encouraging 3.6 unemployment rate. Yet 11 years after first opening, the $370 million project, comprised of a private-public partnership backed by the city of Rockville, Federal Realty Investment Trust and Montgomery County, is struggling. Dawson’s Market is one of the many small business retailers that have recently closed it’s doors at Rockville Town Square. 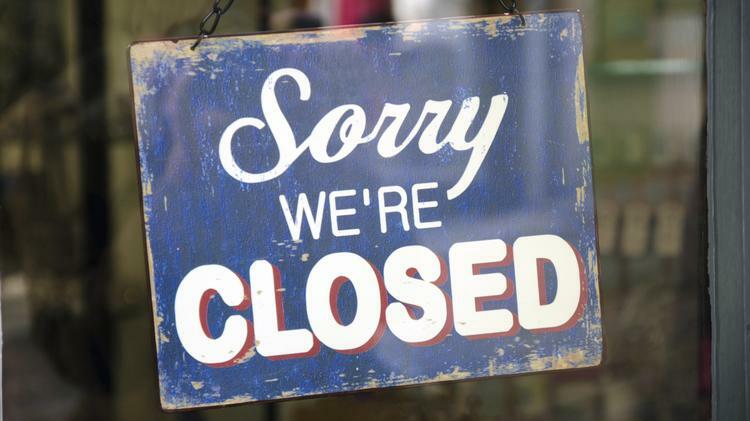 Over the past couple years about a dozen other business have also closed their doors. Retail expert Bill Miller of MILLER WALKER Retail Real Estate was interviewed by the Washington Business Journal about his thoughts on why Rockville Town Square may be struggling. 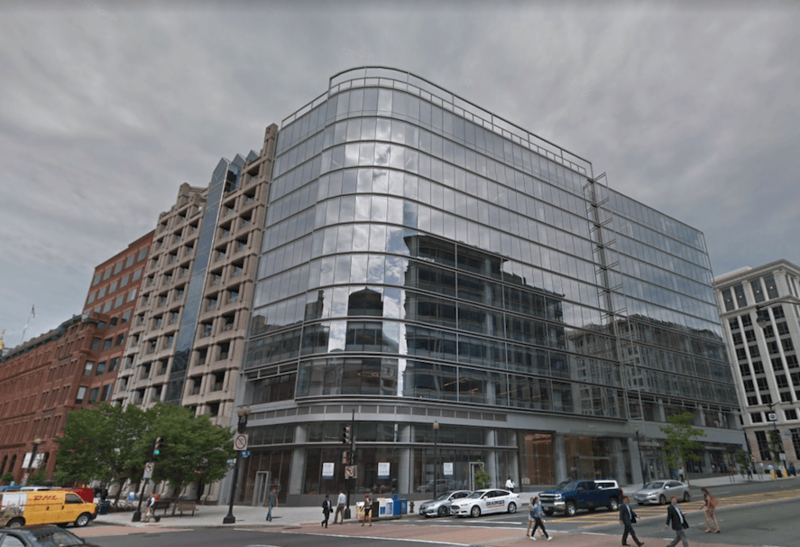 Owner Stephanos Andreou has signed a lease for 2,000 square feet at 1301 Connecticut Ave. NW, confirms Alex Walker of Miller Walker Retail Real Estate, which represented the landlord in the transaction. Nick Papadopoulos of Papadopoulos Properties represented the tenant. Tokyo Pearl will serve sushi and cocktails in the space formerly occupied by Avenue Jack, a men’s clothing boutique. 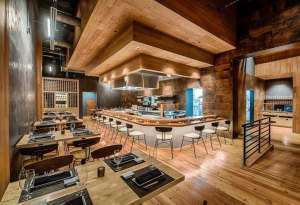 “Bethesda, Md.-based developer The Meridian Group has announced seven food and drink retailers and two service businesses that will open in 2019 at The Boro in Tysons Corner, Va., about 15 miles outside of Washington, D.C. The DC Wharf is a $2.5 billion, 3.3 million-square-foot project will transform the city’s waterfront. No one denies that. But there are also plenty of non-believers who feel it won’t last. Some retail brokers and restaurateurs think there are too many restaurants. Some feel that the waterfront destinations are too seasonal to sustain all the available seating. Others say both. Just in its first phase alone, there are 2,200 seats at The Wharf’s nearly two-dozen restaurants. “They’re never going to have lunch, so what makes you think that they can pay twice as much as all the early JBG deals on 14th Street?” said Bill Miller of Miller Walker Retail Real Estate, who also called the waterfront project “spectacular” and does not identify as a Wharf skeptic. The Wharf includes an open park the can found from Maine Avenue, a few docks open to the open day and night, and seats and places to sit and appreciate the waterfront. Transports will hurry to the L’Enfant and Waterfront Metro stations, and water cabs will touch base at the site from the Washington Channel side. Back when the Washington Harbour made the Potomac River available to the public for the first time, despite everything, it took “a couple of years” to balance out, Herb Miller said. Eighteen months after it opened, an eatery there by the proprietor of New York’s observed Tavern on the Green needed to close down. Mill operator said he’s pulling for The Wharf, given that Western is chipping away at its own substantial retail venture close-by at Buzzard Point with Akridge Development. Western’s arrangement calls for 518,396 square feet of blended use improvement, 70,000 square feet of it being retail, which would supplement contributions at both The Wharf and The Yards in Southeast. Broaden, expand, enhance: One of the manners in which Armstrong is endeavoring to set up Kaliwa for progress is to have different business lines. The eatery’s structure joins a committed zone for takeout requests — he plans to intensely showcase takeout and conveyance alternatives to the homes encompassing him. He’s likewise purchasing an Airstream trailer from which to sell easygoing Korean grill on the promenade itself, planning to catch potential clients who aren’t searching for a formal dinner. Additionally, the group from Cantina Marina, which will open an unrecorded music setting, bar, and eatery called Pearl Street Warehouse and a smaller than usual variant of Cantina called Cantina Bambina, is likewise looking at a scope of pay streams (see more on Cantina Marina, Page 46). That incorporates parallel streams amid the mid-year that may help counterbalance the winters. Bambina has a permit to serve liquor all through the transportation wharf, which will enable it to serve drinks for any occasions facilitated on the dock, from motion picture evenings to extraordinary occasions to shows. What’s more, it’s planting a snack bar on the wharf to peddle quick easygoing Mexican nourishment, for example, quesadillas, and solidified custard. 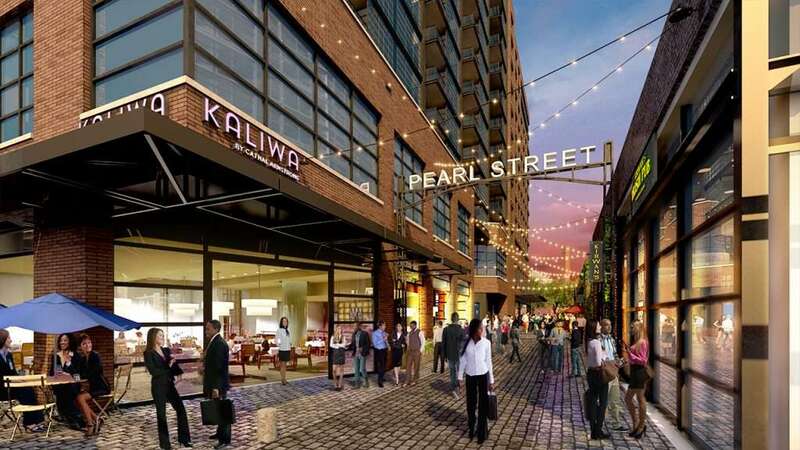 In addition, Pearl Street’s group intends to begin its days sooner than most bars, opening for breakfast and lunch. Great DC wharf hours. 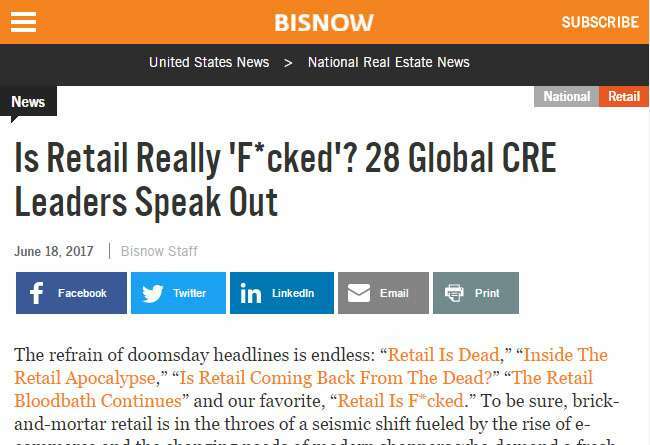 On June 18, 2017, BISNOW featured an article entitle “Is Retail Really ‘F*cked’? 28 Global CRE Leaders Speak Out“. The article poses the question of the future of retail real estate and if brick-and-mortor retail stores are dying. In this article, BISNOW reached out to 28 Commercial Real Estate leaders. They asked MILLER WALKER Retail Real Estate’s very own Bill Miller his thoughts on the topic. Read his comments below. Brick-and-mortar retail is changing just like almost every business sector due to the internet. No one should find that alarming or shocking. We have seen it coming for years at this point. Simply put, what people are leaving home to buy is changing, but people are certainly leaving home and spending money. The smoke shop’s landlord, Demers Real Estate, took the retailer to court to have the store evicted. 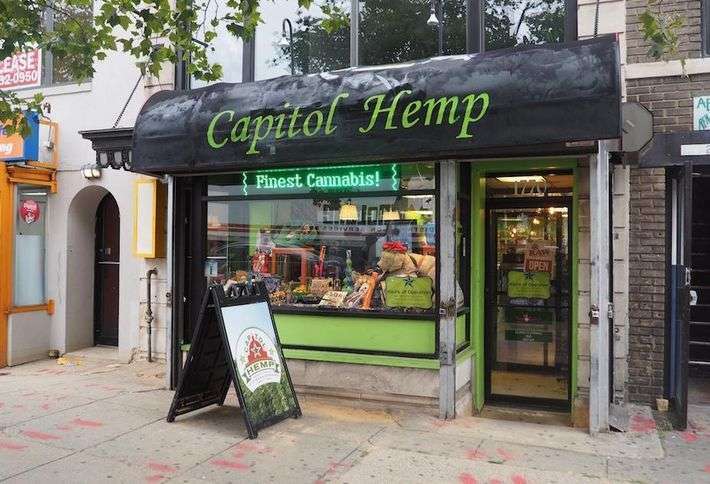 Eventually, Capitol Hemp won the case. Technically, what it was doing—selling pipes and smoking accessories under the guise of tobacco use only—was not illegal. Yet still, they were forced to close down the store. This was due to an agreement reached to reclaim their thousands of dollars of seized inventory. Demers could not be reached for comment. Stories like this were common for head shops in the District. Then DC residents voted to legalize the growing and possession of marijuana and the sale of paraphernalia. Since the law went into effect last year Continue reading ..
Honeyfish Poke has several shops in the greater Los Angeles area. And now its looking to open its first East Coast locations in the D.C. market. Co-owner Duke Park has enlisted real estate broker Alex Walker of Miller Walker Retail Real Estate to find several locations for the fast-casual restaurant. Their goal is to open the first by year’s end, if possible. Park decided on D.C. after falling in love with the area after a recent vacation here. His background is franchising. Park has opened 15 Pinkberry locations (including the first in the United States) before founding Honeyfish with partner Jimmy Hong, who hails from the wholesale fish business. Ultimately, they teamed up with a master sushi chef to develop the concept further. They also operate the Big Fish Poke chain. Continue reading .. Ask a dozen food geeks to name the first thing they associate with Mike Isabella. They’ll probably rattle off a list of biographical highlights. He’s the “Top Chef” contestant, New Jersey bad boy, clam-shucking chauvinist, serial restaurateur, the dude with the gypsy tattoo to ward off evil. With his next major project, however, Isabella may forever shed his tats-and-work-shirts image. 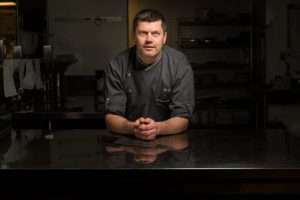 He may potentially confirm his status as one of the most ambitious restaurateurs in the Mid-Atlantic. In the summer of 2017, the chef will open Isabella Eatery in Tysons Galleria. It is an ambitious, 10-concept undertaking that will combine a few brands that are already familiar to D.C. diners — and several that are not. Bill Miller, a D.C.-based real estate broker who largely works with restaurants, has seen [the desire to experiment with a menu] play out in the chefs he’s worked with over the years. Ambitious cooks constantly tell him they just want a small place where they can literally have a hand in making every dish. “But I tell them you can’t really make a lot of money doing that, and they’ll look at me like I’m crazy,” he says. These days, many don’t even talk about rent at first, Miller says. But eventually the whole picture has to come together — location, pricing, a concept diners will show up for — to make sure the restaurant is financially viable.